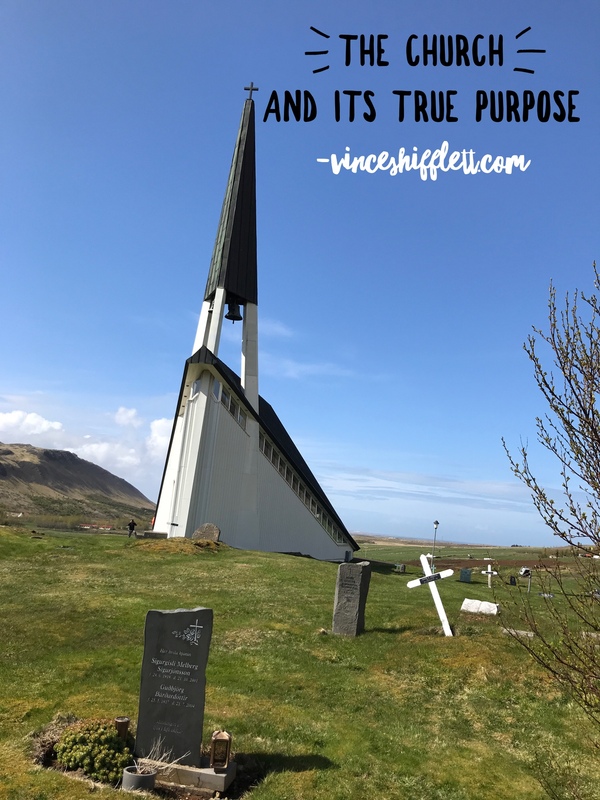 What is the true purpose of the church? This is something that has been on my mind for quite some time, and it has given me reason to pause. You may not agree with everything in this article, but again it is just something I can’t get off my mind so I wanted to share my thoughts. I grew up in church and have spent most of my life in the church. I am deeply grateful for that experience. The physical structure of the church, along with its many denominations, is all man-made. Man created Baptist, Methodist, Science of Mind, Pentecostal, Christian, Catholic and the many other names (labels) we use for our different religious organizations. What makes one better than the other? Isn’t the message supposed to be the same? Growing up in church, I can remember the church was run completely by servants. Every penny that came in through the offering plate went to feed the hungry, shelter the homeless, and clothe the poor. Not pay salaries for church employees. As a child, the pastor of my church had a full-time job. He pastored the church with no salary. It was a calling, not a job. Fast-forward to now, when there seems to be a lot of energy spent on the whole money issue. I’ve noticed that 30 minutes of any given service is spent talking about money, how much is needed, and all the ways you can give your money. Then there are advertisements from the pulpit about all the things for sale such as classes, books, videos, and concerts as well as many different types of services offered. For me, at times it makes it difficult to get the real message when it seems all I hear are the commercials. Then of course there’s a little fear thrown in saying you will not be blessed unless you give. The church as a means of control uses fear. They further emphasize that fear by using biblical scripture to back it up. It is the same way they use fear to get you to believe exactly as they do or “you’re going to hell.” Is the purpose of the church to instill fear in its members? With the move and focus towards mega churches, I have noticed church leaders are driving nice cars, flying private planes and living in mansions while many in their congregation are struggling. There is certainly nothing wrong with blessing others monetarily but have we gone too far? The church has been a great source of strength and inspiration for me in my life. However, I recently stopped attending where organized religions meet. It was my hope that the last one I attended would be different. I am grateful for my spiritual evolvement as a result of attending there, but I quickly learned that it too was a man-made religious organization where much of the offering was going to pay salaries with great focus on money and personal gain. I remember attending there one Sunday and the whole band was missing except for the piano player. After service I asked her, “Where the rest of the band? She replied, “we could not afford to pay them this Sunday so they did not come.” Wow! They didn’t even attend the service. That stuck in my heart and saddened me to some degree. Just think what the church could do with all the money paid out in salaries. How many more people could the church help? How much more could it fulfill its true purpose of serving those in need? Could those salaried positions be filled with people who just do it merely to be a blessing expecting nothing in return? I have personally made a decision to give my money directly to those in need instead of having a portion of it going to pay salaries. I am a giver by nature and believe in the principal “You reap what you sow.” I am just learning to evaluate where my money goes. I want my giving to feed the hungry and be a blessing to those less fortunate. Giving back is essential. I also finally came to realize that I do not need the physical structure of an organization to have a spiritual experience and deepen my walk with God (Spirit). I can wake up any morning and have a beautiful spiritual experience by taking a walk in the park, giving thanks, meditating, volunteering in my community, and/or just spending time in silence. I do not need to pay for that. Has the church lost sight of its true purpose? I love the church, but I believe it should be a center that takes care of the community and those in real need. It should be a center that loves and welcomes ALL. I know there are actually still some churches out there doing just that. Abundant blessings to you. Perhaps I am thinking more about the ones who seem to have a different focus. You are the church. I am the church. Each individual can do that without belonging to an organized religion created by man. There is certainly nothing wrong with belonging to a church if that is what one chooses to do. Personally, I just found that a deep evaluation of my purpose was necessary. My intent is not to be critical of the church but just to ask myself questions about my observation of the church. Do churches need to be multi-million dollar buildings with $60,000/month operating budgets? Or should they be more humble abodes filled with people ready to serve? Or should there be churches at all? Again we are the church. The building is not the church. My sanctuary is inside of me. Just my thoughts. I look forward to your feedback and as always I appreciate and love each of you. I agree, religion is man made and was used to control the people. Some aspects of religion are good, the Bible and even the Koran are interesting books to read and use as reference but not to be controlled by. There are far too many interpretations of both. The churches, mosques, temples etc themselves, beautiful buildings and some have incredible artwork are treasures for the world to see but they are just that, buildings made of stone. nothing more, noting less. They are places to find solitude and mediation. Unfortunately they have become gossip hives, “look at what’s she’s wearing”” I heard he’s having and affair” etc etc, money collection places (wasn’t it Jesus who threw the money collectors out of the temple ?) where, as you stated, the fear of god is installed in us if we don’t give, give and give ? I went to a Christian Scientist school and they taught me that ‘mind over matter’ helps yo in life. If you are negative then everything is negative, if you are positive then everything will become positive, if you think you are unwell then you will be unwell, short of a cold and cought, I’ve been fine for the past 5 years ! Our Armenian Priests live on donations and fees for the work they do, a wedding s so much, a house blessing is so much, but the church doesn’t pay them a salary. The church pays for the upkeep and expenses of the building(s). The Catholic churches, on the other hand are run by the Vatican and today, the Vatican is one of the richest institutions in the world and riddled with scandal. Personally, I love going to admire the buildings, but for me, God is everywhere and not in a designated spot. Meditation is something I might take up soon but the Buddhist concept seems, to me at least, the least intrusive and commanding, but at the same time seems to be the most peaceful of all the religions that I’ve been exposed to. Once again, a fascinating and thought provoking blog, Vince. I have said this before but want to say it again after reading this response. You should be the writer.Your writing is entertaining, educational, inspiring, and captivating. Write a book. Please. I will be the first person to buy it. I so enjoy your perspective and thoughts. You talk about the Bible and Koran being interesting books but too many interpretations. In my opinion, all the religions have many different interpretations. Anytime there is more than one person, there will be more than one interpretation. I think that is the beauty of uniqueness in us but unfortunately many find it a reason to fight and go to war. Banks and churches are some of the riches institutions in the world. I am disturbed by that on some level. As always, much love to you and I can’t wait to hear your future responses. Thanks so much for sharing your experience. We often think of Spirituality as Church. They are completely two separate things. Very nice article and eye opening Vince thank you for this opinion. Thank you for the feedback. Glad the article was thought provoking for you. I look forward to more feedback and really appreciate your love and support. I have become a Buddist. With meditation, I can find comfort. Thanks for sharing. I agree with you. There is great comfort and peace in meditation. Thank you for sharing your thoughts Vince. I too attended church for many years. I can remember being told that you must give a tenth of your wages every week to the church and put it into an envelop that had your name on it. The treasurer of the church would take care of all donations. While I was attending the church we found out that the treasurer stole thousands of dollars from the donations. I personally don’t go to the church anymore, they were quick to take my money but when I needed emotional support I got none what so ever. I was physically and mentally abused by people in the church. The abusers were protected and got away with it. I carry the emotional scars but am now safe. I have a beautiful relationship with God. I watch Songs of Praise on the TV every Sunday morning and sing along. I help people in the community by donating craft that I have made. I am a Christian. The church are the people not the building. As always, I appreciate your thoughtful feedback. Your response further reinforces that the church in many cases has missed it’s true calling. I love that you help people in the community by donating crafts. That is spirituality. Much love to you. Thank you for sharing your thoughts and feelings throughout your writing, I appreciate you, because it takes courage to express them and I admire your vulnerability to be, it brings light and love. In my personal experience of the concept of Church; I’ve spent a lifetime collecting, contemplating and evaluating throughout experiences this concept of what church is; I’ve been challenge many times to re-evaluate my core of beliefs system and yes I agree, it’s a calling cause we still continue to be in the process of life and continue to be free of choosing to be. May you be filled with peace, love and kindness always and in always. I love you so much and am grateful and humbled by your feedback. You are a true light in my life and the life of so many.